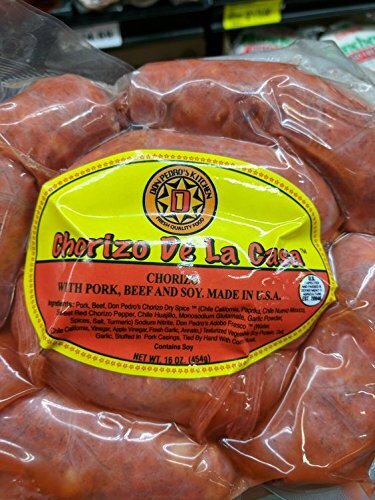 Try a 4 pack of this top rate chorizo de la casa from Don Pedro's!! Don Pedro's Meat began in Don Pedro Rodriguez's kitchen, where he made Cecina in the style of Morelos for his friends and relatives. If you have any questions about this product by Don Pedro's, contact us by completing and submitting the form below. If you are looking for a specif part number, please include it with your message.